Learn About Alzheimer’s Disease. With any diagnosis, it is important that you are knowledgeable about the disease: how it looks like, what worsens it, what foods to eat, and what activities to do to aide in a better quality of life. Alzheimer’s Disease affects mostly the elderly above 60 years old, but it doesn’t mean that younger people can never get it. There are those in their 30s, 40s, and 50s who have early onset Alzheimer’s. Those who have a family background of this disease are more at risk to having it later on because of genetics. Join Support Groups. You might be feeling different emotions now. There are some who get shocked about knowing their loved one was diagnosed with such a disease, but have to accept it. And while you may be facing this, you are not alone. There are plenty of others who are experiencing the same thing. This is why you should look for support groups in your area to get insight about other people’s experiences, and maybe this will help you cope better and take care of your loved one better. Take Care of Yourself. 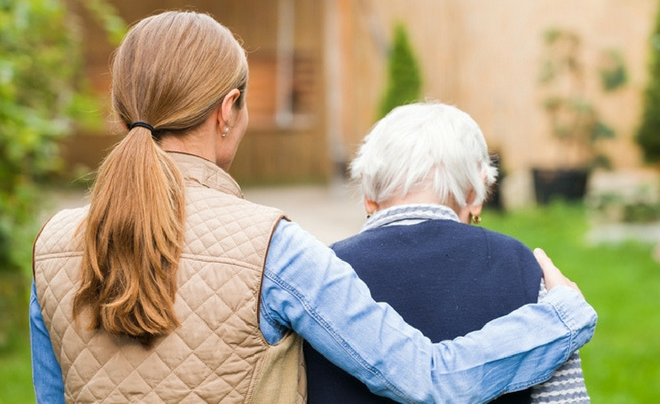 As a caregiver, you need to take care of yourself too in order to better care for your loved one. If you are constantly exhausted, you may be more irritable and this may upset your loved one. Take a short vacation where you can completely feel relaxed. You can hire a caregiver or companion from a Home Health Care Service provider to take over caring for your loved one. Colorado Family Quality Home Care offers Homecare in Aurora, Colorado. We are composed of a team of diverse and passionate people who are happy to serve you and your loved ones’ needs. With you in mind, we have people who can speak Somali, Amharic, Oromo, French, Arabic, and English –whichever language is comfortable for you. We are located at 1450 S. Havana St., Suite 410 Aurora, Colorado. Let us know how we can help you by calling 303-632-7225 or our 24-hour contact number 720-296-4293. You may also email us for queries at cofamilyqualitycare1@gmail.com. We are looking forward to hearing from you! This entry was posted in Alzheimer’s Disease and tagged Alzheimer’s Disease, caregiver, Home Care, Home Health Care, Senior care. Bookmark the permalink.